In today’s world, DIY is a term everyone is familiar with. It even has it’s own television network that inspires many homeowners to tackle home improvement projects on their own. The movement became fairly popular in the 70’s, but was coined already in the 50’s. People began to fix up old homes and homeowners began to look at their home as something to have fun with and decorate in their own styles. DIY projects can help you save money, add your own style, and give you something to do on a Saturday morning while you listen to the Real Estate Radio Hour! It’s important to remember not all home improvement projects are worth doing on your own. When it comes to roof repairs, insulating your attic, installing a deck, or replacing your windows, you’ll want to hire a professional. Major renovation projects need to be done correctly. You don’t want to risk having to re-do something costly because you didn’t have it done right the first time. That being said, it is possible to completely change the look and feel of a room, your yard or your porch, with simple projects that you can actually do yourself.Think back to the 90’s when something came about that changed the whole idea of DIY… Trading Spaces! Remember the show that made you dream of completely re-doing your living room without breaking the bank – made you appreciate a designed space?! Trading Spaces, Rehab Addict, Love it or List it, and other HGTV and DIY Network shows have accumulated over the years and are here to stay! People love them because our homes are where we spend our lives. They should reflect who we are and should be designed and decorated in a way that makes us enjoy coming home to it. As today’s technology continues to advance, we have access to new ideas for improvements and projects 24/7. 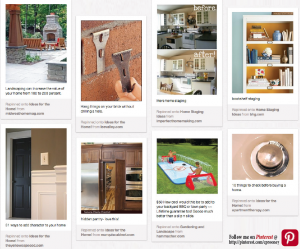 Remodeling, refinishing, and reusing items is a continuing trend, and the internet is where you can find unique ideas to create and innovate new ways to use certain objects. Great websites are all around us, but to sort out the clutter Pinterest has put everything in one place. For those of us interested in… well, just about any topic, Pinterest not only stores your ideas on a virtual pin board to keep everything together, but also links to the websites with more detailed how-to’s and amazing before and aftertransformations. If you haven’t already, join this DIY movement and take advantage of endless resources. 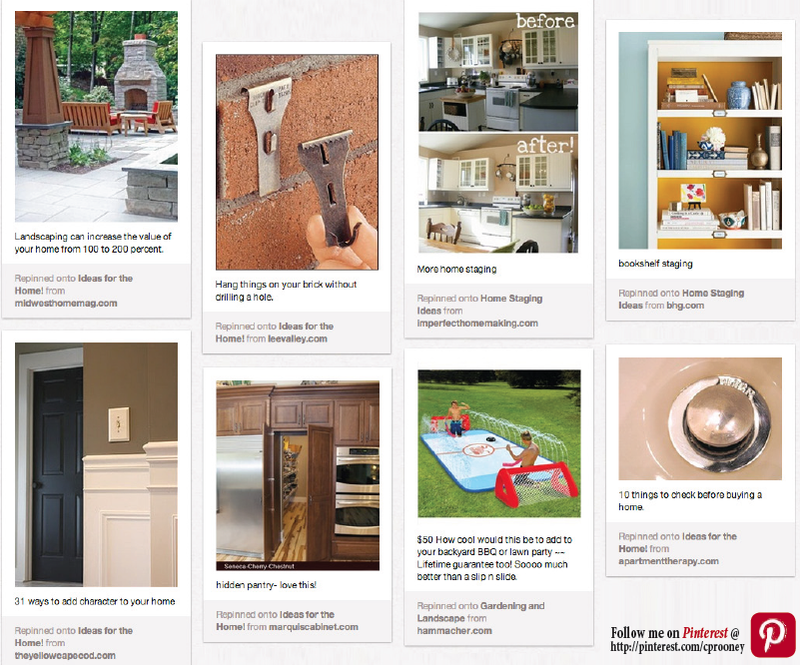 Be sure to check out my Pinterest page and as summer approaches, get outside to tackle some new projects to get your house more organized, more inviting, a little more cozy, or just a bit more You!